Today is a big day here on the Ranch! It’s Sassy and Sissy’s birthday!!! They are ONE year old today! And it’s bitter cold here. I’m thanking my lucky stars that one year ago, on the night they were born, that it was not near this cold. And I’m planning carefully for no more winter babies. Ever! Here’s the girls on their first-ever sojourn outdoors. I can hardly believe they were ever small enough to wear the sleeves of old sweatshirts as jackets! They’ve grown so much! Just look at them now! I took these pictures at sunrise this morning, while they were eating their breakfast. They still follow me everywhere and Sassy is still very sassy! In fact, I could barely get the pictures, because Sassy kept coming over to jump up on me for some lovin’. They are still inseparable, Sassy still looks after Sissy like the big sister she is, and they love each other very much — little sweeties. And I love them very much! 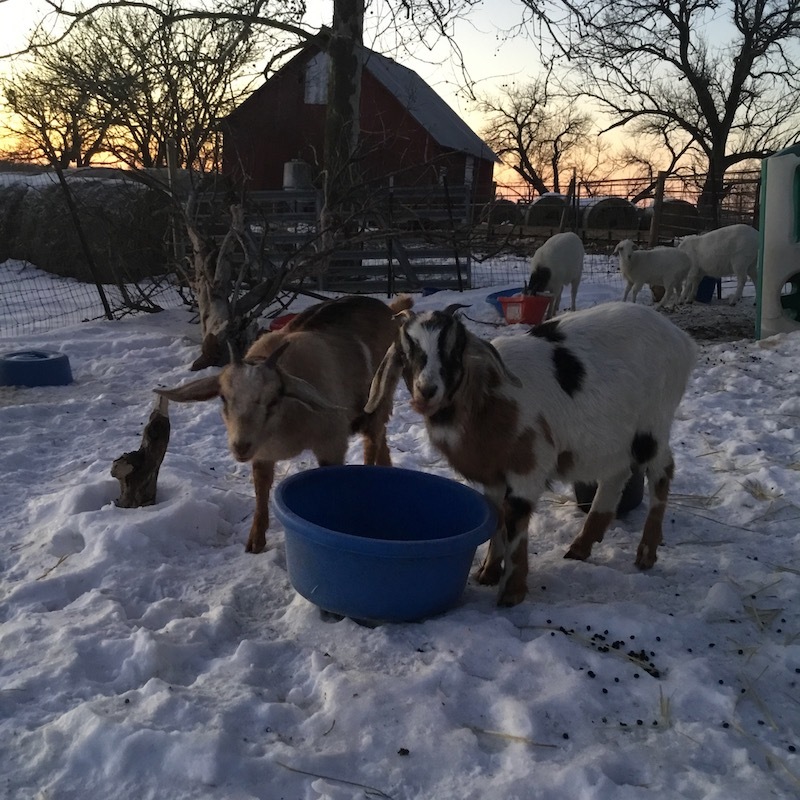 You can see in the background where the wind blew a tree down in their pen. My Cowboy is not allowed to run a chain saw, therefore, we don’t even own one; so I’m gonna have to figure something out come spring, and get it out of there. 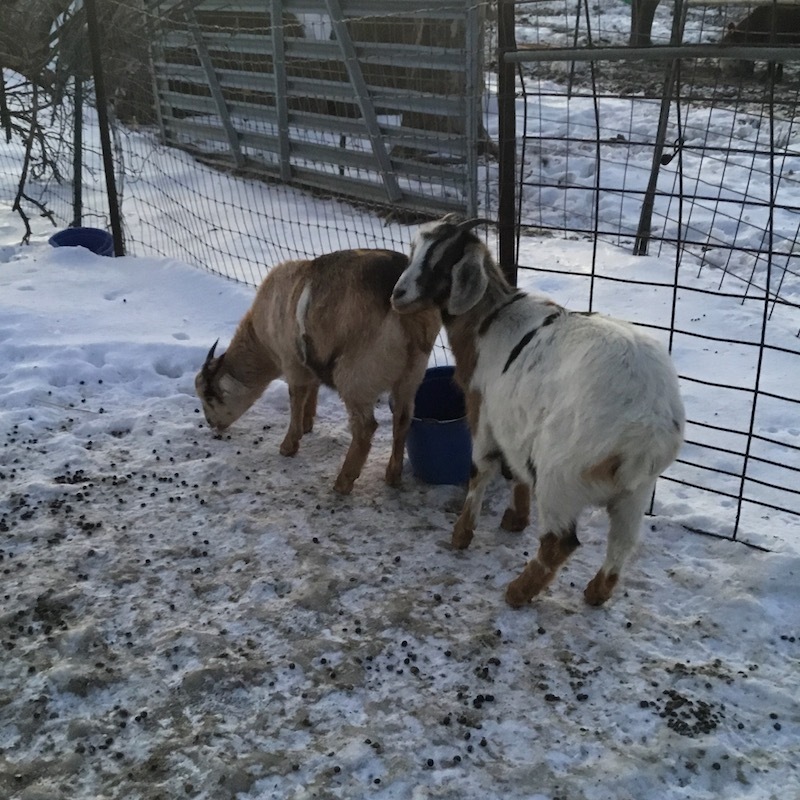 Right now, they’re nibbling on it some, which is good for them, and it’s not hurting the fence, so it can wait. And while today is a big day, yesterday was one of the saddest, most awful horrible days ever. 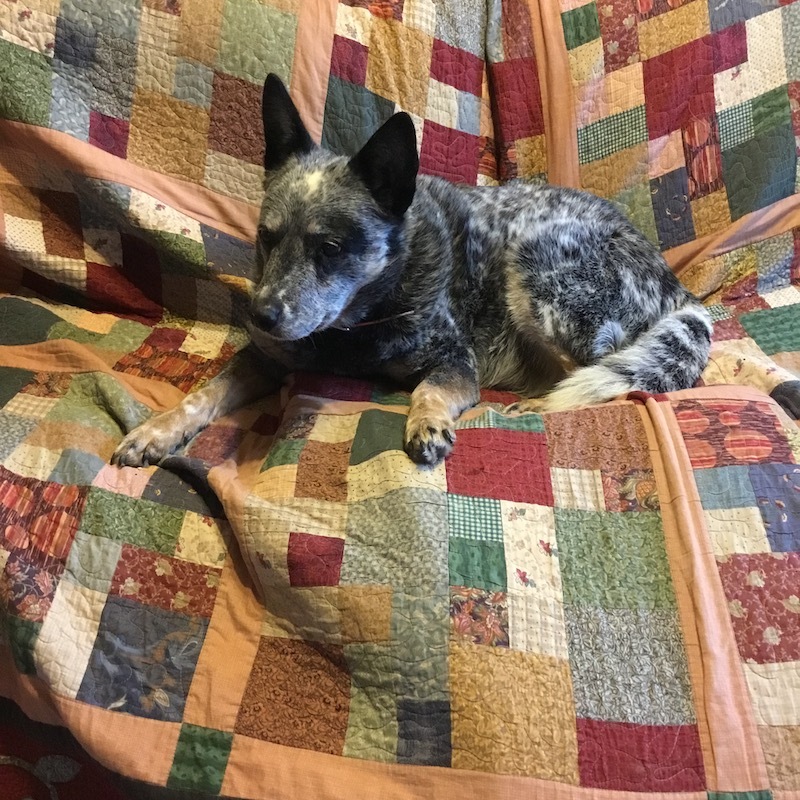 Blueberry, the Queen of the Ranch, Boss of Everything, and My Cowboy’s best friend, crossed the Rainbow Bridge. Old age caught up with her, and while we wanted and expected her to live forever, it just wasn’t meant to be. She would have turned 14 in March. We are brokenhearted, and it’s very quiet around here. This highly stressful incident put My Cowboy’s new hardware to the test. He’s been in and out of the hospital for the last month, which culminated in him having a pacemaker replacement last week. 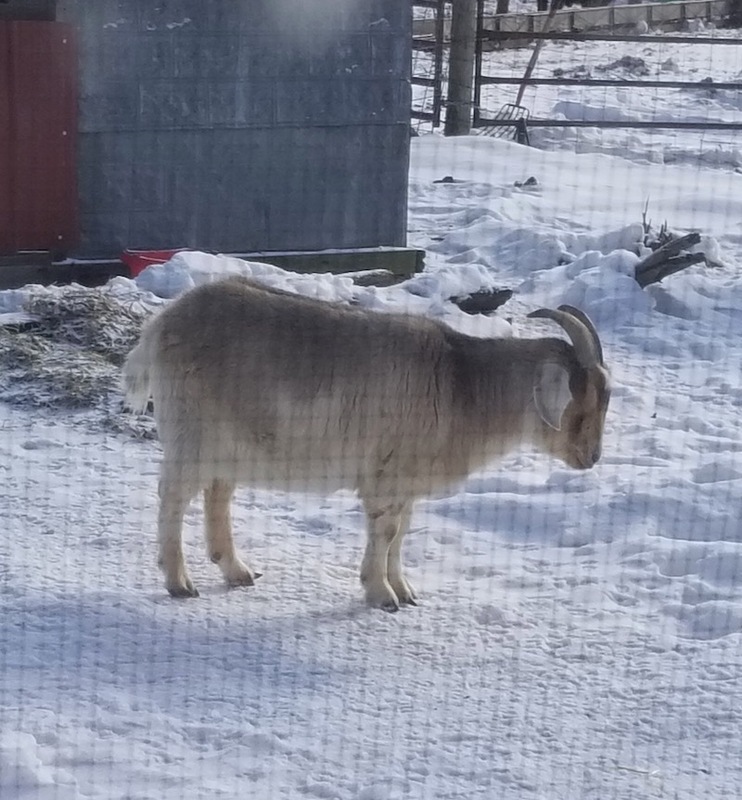 He’s been on restrictions off and on for over a month, but he’s finally allowed to drive again, and while he can’t go out and start lifting 50# feed sacks and pitching hay, I did start letting him feed the horses and the barn cats again starting yesterday. Have I mentioned that it’s bitter cold here? We’ve had snow, and more snow, and ice, and sub-zero temps, and only one or two days of sun in the last several weeks. I’m so ready for winter to be over — but then, I was ready for winter to be over back in November! As always, I’m still slowly chipping away at house projects. 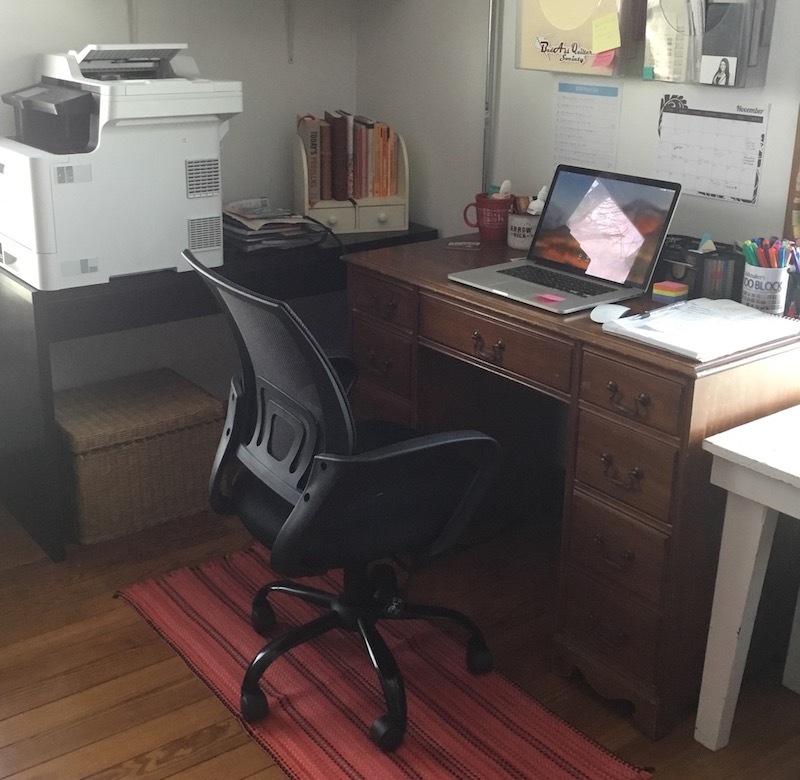 If you were with me for The Final Countdown, you know I’m working on whipping my sewing room into shape, and I found time to clean up my office after my daughter bought me a new office chair. But I’m also continuing to (slowly) work on the rooms downstairs. While I’m still not quite done with the kitchen, I’ve started working on the spare bedroom downstairs. We’re planning to turn this into My Cowboy’s “office”. I wanted to have it ready before he had his heart procedure done, but he foiled that plan by having to go into the hospital early and having all sorts of troubles that kept me from getting to work on it. 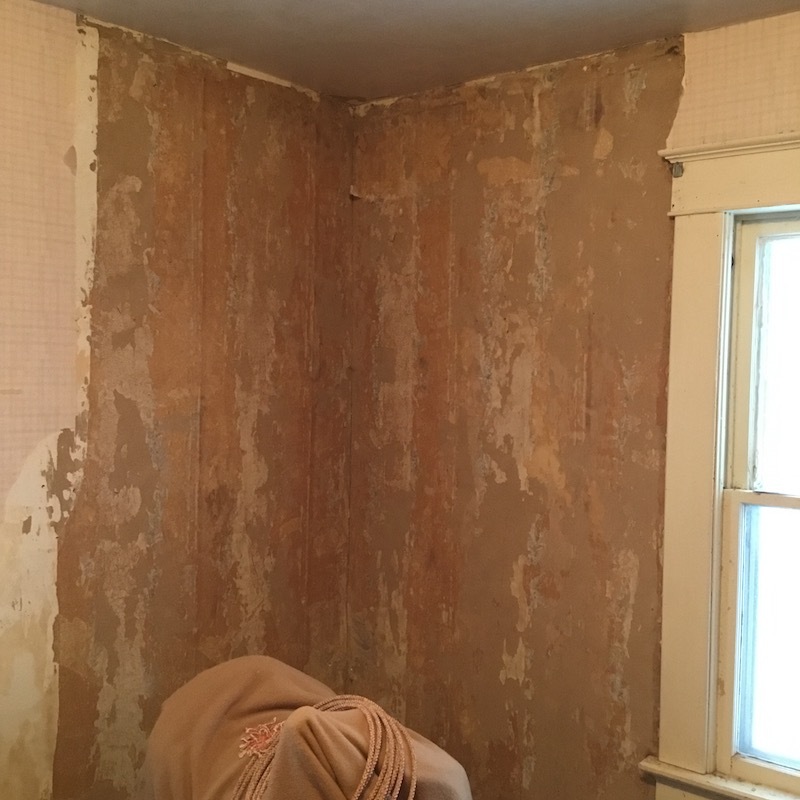 I’ve stripped 98 years of wallpaper layers off of half the room, and that’s as far as I’ve gotten. And the cold and the lack of sunshine has made me really not want to work on it, so it’s going even slower than I thought it would! I’ll leave you with the usual pictures of my baby, Ranger, who is not such a baby any more. He’ll be two years old in April! He is HUGE! 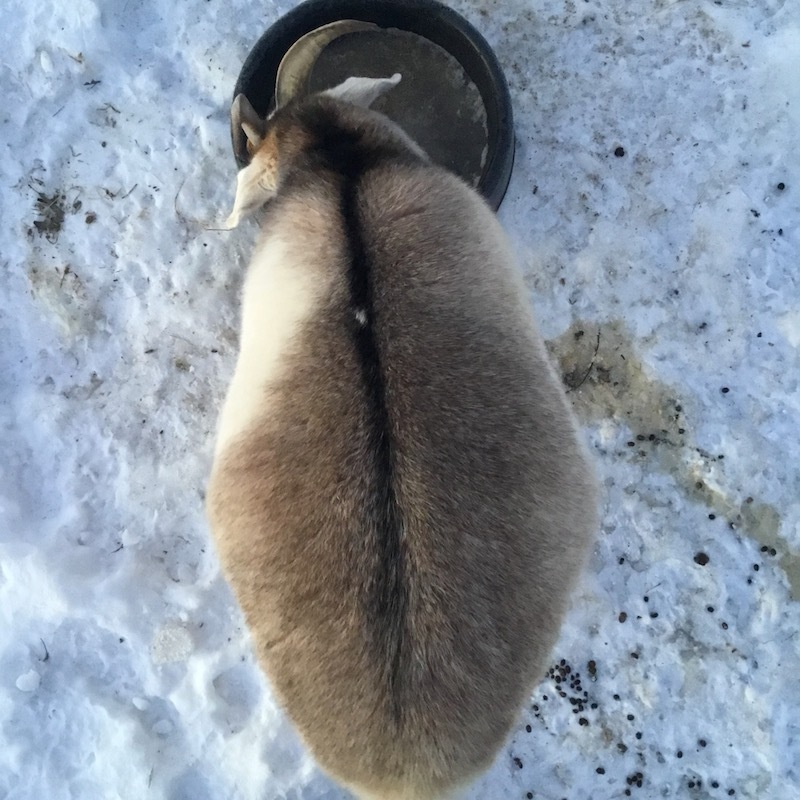 And very rotund — and still my baby. I love him so much. Check out this physique! One night not long ago, I heard someone knocking at the door. I turned on the porch light, and this is what I saw! 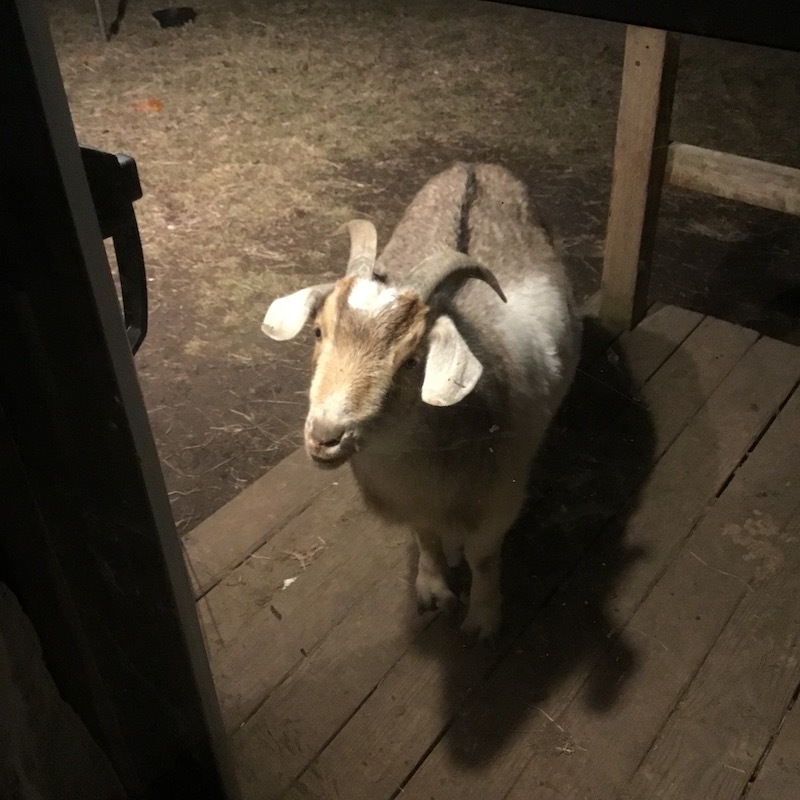 I so badly wanted to let him in, but he’s huge and destructive now — it’s just not a good idea — it would be like letting a small pony have the run of the house, and it’s in enough of a mess, as it is! I walked past the window Wednesday morning, and he was standing in the middle of the yard, fast asleep in the sun! It looks like he just fell asleep on his way across the yard — so cute! I hope you’re in for a warm, cozy, wonderful, quilty weekend. We’re supposed to get more snow this afternoon — I can hardly wait — NOT! But it does mean that I’ve been parked in my cozy chair under a blanket most evenings, knitting, so maybe I’ll have something finished to show you before long! If you live where it’s warm, I’m jealous, and if you’re in a cold clime like us, stay warm and safe out there, and HAPPY STITCHING! So sorry you lost your beloved Blueberry! Thanks for all the updates! I am so sorry about Blueberry. Tender losses. Hope Cowboy behaves. So sorry about your fur baby. It’s so hard to give them up. Regarding winter, I hate to think how long we have to go yet before we can expect some warmer weather. What happened to the “January thaw”? So sorry about Blueberry. Give Mr. Cowboy a gentle hug from us. 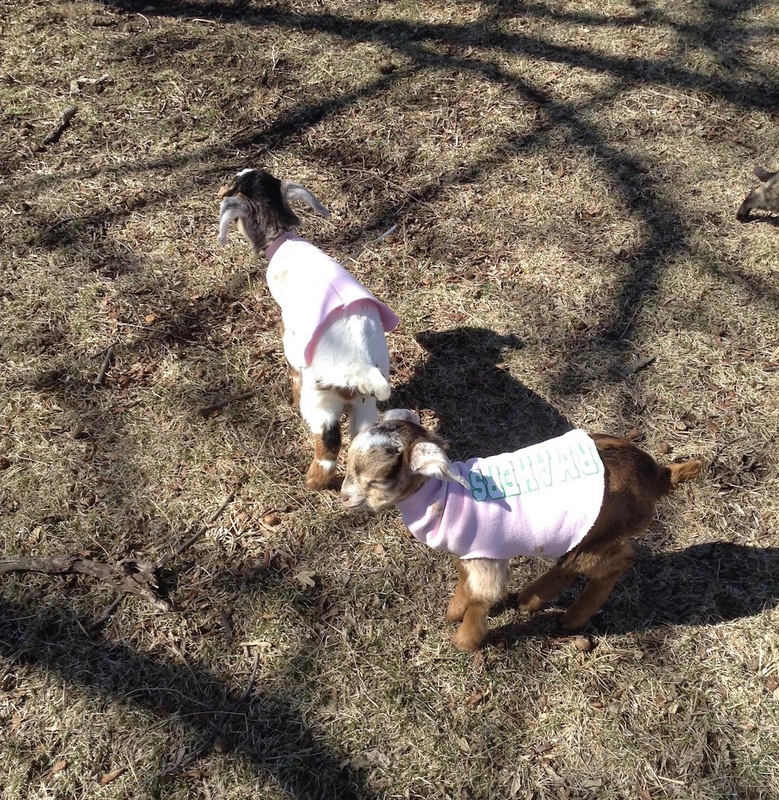 Those babies looked so cute in their sleeve sweatshirts. Stay warm. Our best friends just never seem to be with us as long as we want them to be. Sorry for you and Cowboy’s loss. The pics of all your babies are so adorbs! Love them to pieces!!! Brrrr! I’ve goosebumps just looking at your pictures. Thanks for sharing pictures of your projects. It inspires me that you are working on them and helps me feel motivated to work on mine…well a little anyway. And to realize that slow progress is ok. So sorry for your loss of Blueberry. Those fur babies sure leave a big mark on your heart. I am sorry for the loss of Blueberry. First I thought it was a horse, but now I am guessing it is a dog. 😢 Your office looks good. I’m so sorry about Blueberry. You sure have had a bunch of emotions going on over at the ranch. I hope Cowboy continues to improve. Scary stuff, that. Can’t believe Ranger fell asleep standing there – brrr. We are heading for the cold, cold snap next week. Not looking forward to it, but I have quilts, I have thread, I have a sewing machine (or two, three) and maybe some food. I’m good. So sorry you lost a family member. It is very painful and you’ll miss him for a long time. Our fur babies add so much love to our lives. Hope Cowboy recovers swiftly. There is nothing better than life on the farm/ranch. Enjoyed your pictures. Sending prayers for healing for your cowboy. So very sorry to learn of your loss. 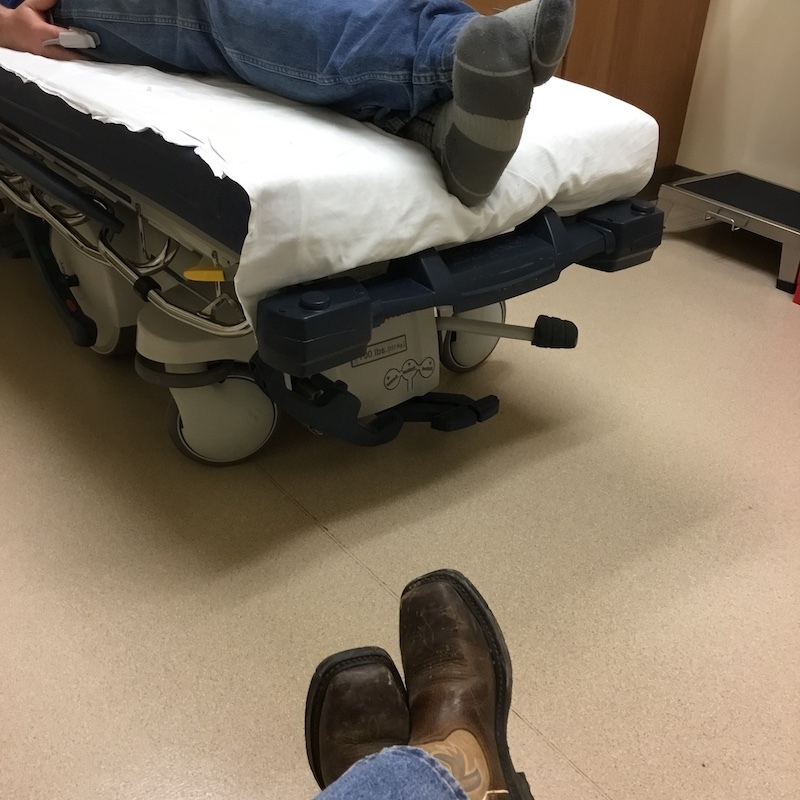 Hoping your Cowboy is on the road to recovery nowifyou can just get him to take it easy long enough to heal! Blueberry was beautiful! It sure leaves a huge hole in your heart when they leave. I know you will never forget her, but I hope you can find another to help fill that hole. Sorry you are having so many problems to deal with at once, but hope your cowboy heals fast now. So much to touch the heart. Blessings to you both. Take care of that Cowboy. My heart goes out to you for you loss of Blueberry. I lost my companion kitty of 14 years on Monday evening. I still tear up when I think of her and miss her presence more than I can ever express. We heal, but we never forget. So sorry about Blueberry. He had 14 good years. Sophie is 16 years old now. I want to keep her forever. She’s aged along with me and we tend to go at the same pace. She loves the cold weather better than I do. The snow makes her frisky, but doesn’t have the same effect on me! I’m glad that your Cowboy has someone like you to take care of him and help him on the ranch. Hope he behaves himself and takes care. Do you remember when we lost Lilah? George and I both cried. I know you and Cowboy are crying at the loss of Blueberry. I am glad Cowboy got more inner equipment. Some of us just have to have metal parts. And I am really astounded at the progress on the downstairs room!!! I sure do wish I could come down and help you strip!!! GasP!! See how everything old has all new meanings now!!! We are going to have some fun this year. I swear it. Loved reading all this! Sorry for you loss! I understand the hurt. This cold weather has sure put a damper on lots of things. I have gotten some sewing done but have gotten distracted with cleaning up piles and clearing out drawers! What on earth have I been thinking keeping so much stuff! Things I have even looked for or missed! Changes are in store for 2019! Thanks for all your example and encouragement. Prayers for healing roundntour house! I’m so sorry to hear about Blueberry! I’m also happy to hear your Cowboy is on the mend! I hope you have help on the ranch! I would have let Ranger in just for a little bit!